We at Inbox My Articles, have implemented OPML(Outline Processor Markup Language) support for importing and exporting news feeds. From now onwards you will be able import your favorite news feeds into Inbox My Articles from other news readers such as, feedly, etc... You can also export your news feeds from Inbox My Articles to other news readers. This feature has made Inbox My Articles compatible with other news readers which support OPML files. 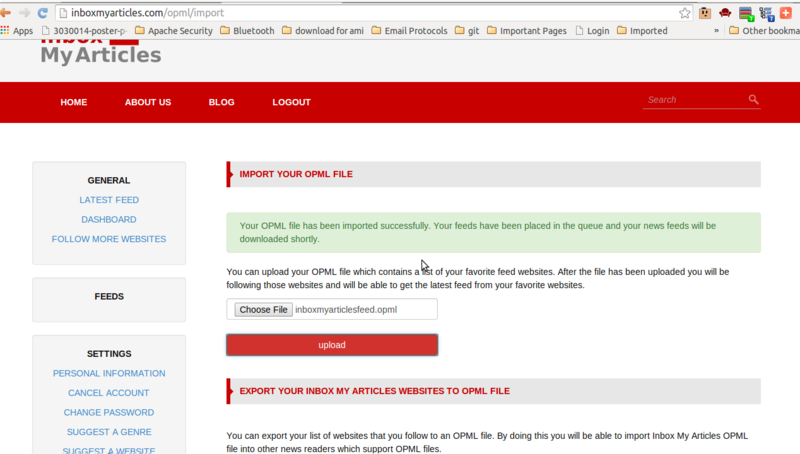 Following is a picture tutorial of how to import OPML files into Inbox My Articles. 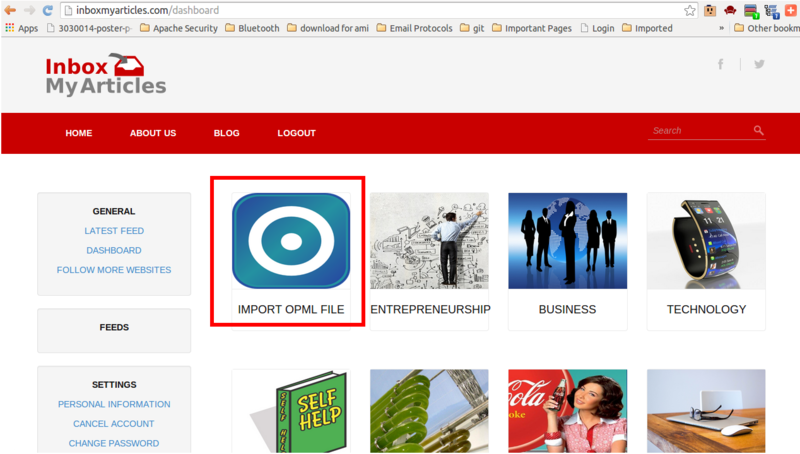 After logging into your account, you will see the Import OPML File badge. Click on the badge and you will be redirected to the corresponding page. 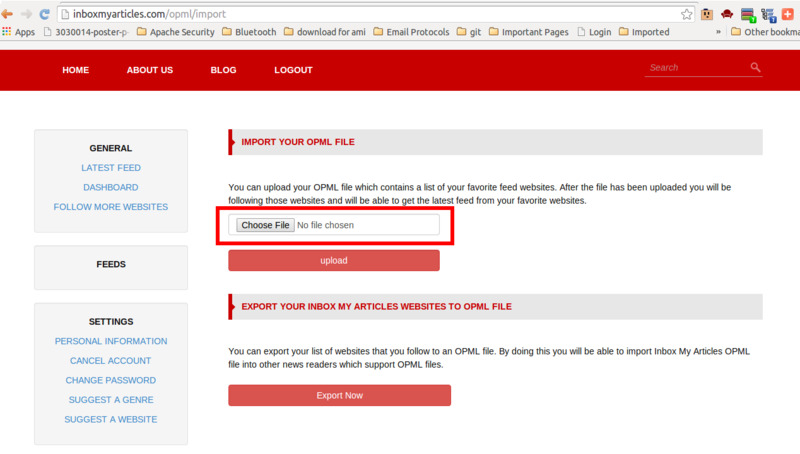 Press on the "Choose File" button (may differ depending on your web browser software). 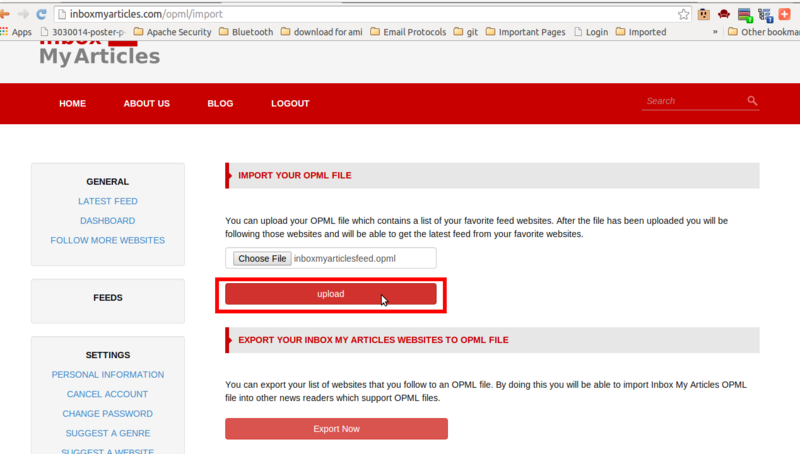 In order to export your news feed to an OPML file just press the Export Now Button. You will be able to import that OPML file into other news readers. Select the OPML file and accept it. Then press the upload button. 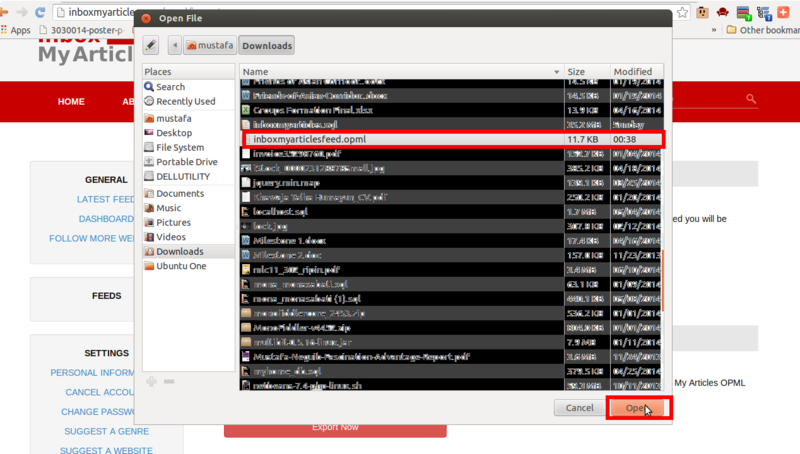 Wait for a short while until the success message pops up which means that the file has been successfully imported. 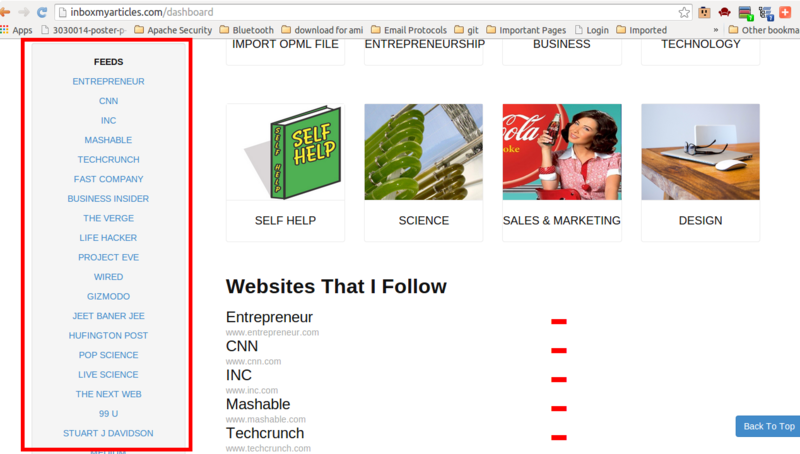 Refresh the page, or go to any other page and you will see your feed in the left column. Your feeds will be queued in our state of the art system, where the latest news and articles will be retrieved, and will be waiting for you to read.